Coin Valuation: Are My Old Coins Worth Anything ? By Annie Shaw in SAGA Magazine. While I was clearing out my garage after my partner’s death, I found a Haig Dimple whisky bottle full of sixpences, some of them perhaps silver. What can I do with them? Are these coins worth money? You could try selling old coins at auction. You could either put them into a local auction or try selling them on an auction website such as eBay or eBid. If you are selling in an online auction, just be aware that you could end up paying more in delivery charges than you get in the sale if you aren’t careful about costing shipping fees, as a bottle of old coins is going to be very heavy to post. A full-size Dimple bottle holds approximately £40 in sixpences, with each sixpence worth 2.5 p at pre-decimalisation face value. However, the bottle and its contents could be worth more to coin collectors. 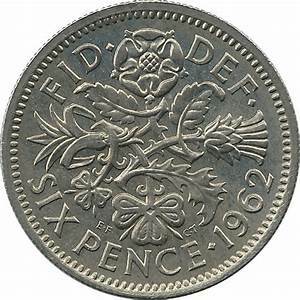 It could also be worth your while going through all the sixpences to see if there are any rare coins or special British coins that might interest a collector.